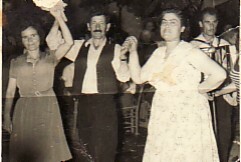 Above: Dancing with his wife, Despina (left) and their koubara, Irini (right), at a panygiri. 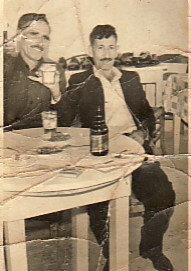 Above Right: With his brother-in-law, Christos. 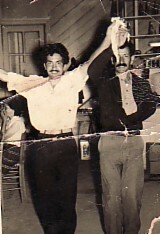 Above: Dancing with his friend, Taxiarhis (left). 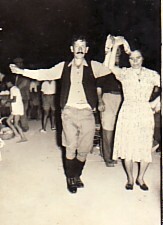 Above Right: Dancing with his wife, Despina.